“BARRINGTON — A youth mentor at Grace Bible Church here is accused of sexually assaulting a boy he met while volunteering with the church, Camden County Prosecutor Warren W. Faulk announced Sunday. “Samuel Bangs, 23, of Bellmawr, was charged with sexual assault, endangering the welfare of a minor and two counts of criminal sexual conduct. 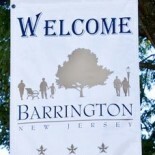 This entry was posted on June 11, 2012 by Barrington Bulletin in Uncategorized.